I will be appearing at C2E2 in Chicago, IL, April 25-27. I will be located in Artist Alley at table J-11. Here are my current convention commission sketch prices/options and how it works for me during the weekend. I will most likely be taking a sketch list instead of drawing each commission as each person waits in line. So hit my table early to make sure you get on the list, it fills up fast! I plan to do a new list for each day. I’ll also have my Volume 1 Sketchbook, art prints and some original art/commissions for sale. I hope this info helps. There is a possibility info could change between now and the convention, so stay tuned to my social networks or subscribe to my the RSS feed for possible updates. 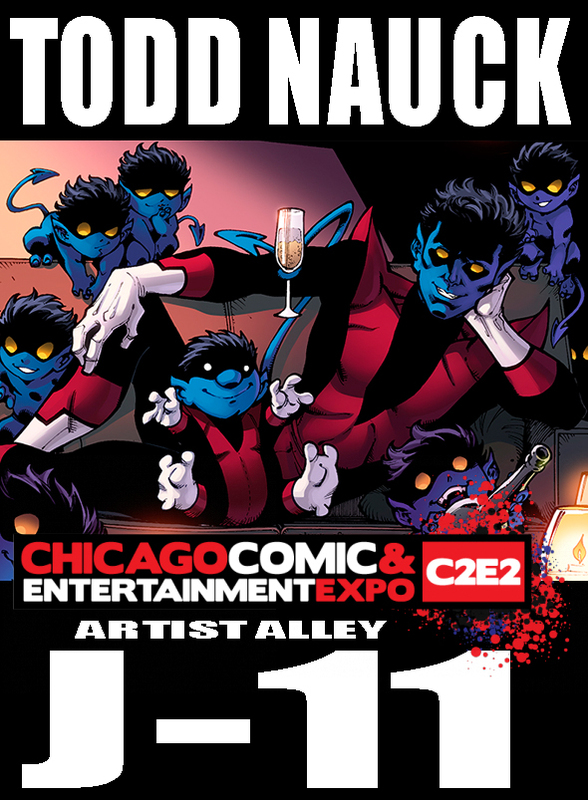 This entry was posted in Appearances and tagged c2e2 by Todd Nauck. Bookmark the permalink.